The new Kia Sportage is an intermediate crossover SUV with several design awards to its name. With sleek design and sturdy build, the Sportage offers agility and comfort as well as rugged durability. The Sportage is an excellent choice for those planning to mix asphalt cruising with some F-road driving in the Icelandic highlands. The Four-wheel-drive makes it a vehicle for all seasons and the ample torque makes it a fun car to drive, whatever the terrain. The roominess of the cabin will also surprise you; you could almost say it’s a full-size SUV disguised as a compact crossover. The whole family will love this spacious, well-equipped car complete with plenty of luggage room. Keep in mind that even if your vehicle is clear to take on F-roads, off-road driving is highly illegal in Iceland and can result in legal prosecution and some exorbitant fines. 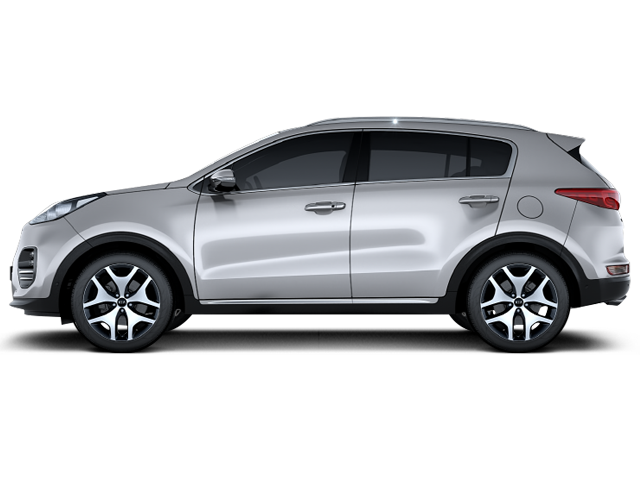 The Kia Sportage is available with both with manual and automatic transmission.